Classic 4X strategy “eXplore, eXpand, eXploit, and eXterminate” has always kept close ties as a genre to desktop PCs. Until now its mellowed down pace allowed sessions to drag on for hours. A leisurely endeavour marked by the odd 3AM dinner, players daydreamed about planetary commercial values which served as the hallmark for games that require a level of commitment rarely upheld by today’s players. Surprisingly, French Studio Tuesday Quest has rendered this same experience, compressing its baroque format onto Android successfully bringing 4X to life within the mobile realm. A Planet of Mine is so well adapted, in fact, it’s time we take a look at why. 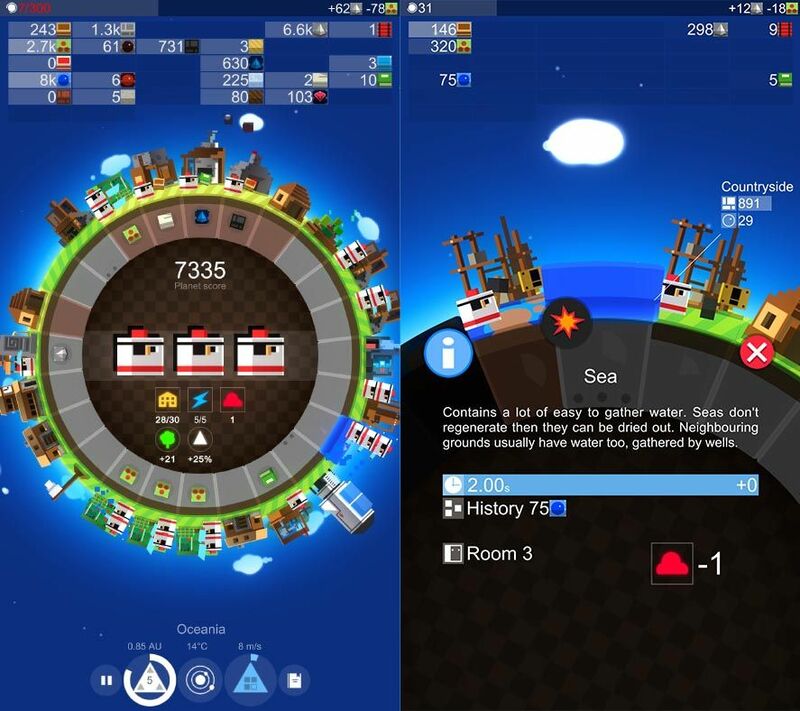 Without belonging to the same genre or even presenting identical gameplay the formula involved bears a striking resemblance to what’s offered in The Battle of Polytopia, a game we’ve mentioned more than once as a brilliant way to bring the standards of the Civilization Saga to smartphones. The premise of the game, in addition to simplifying gameplay just enough to maintain its essence, is completely free of charge without in-game advertising or similar schemes. The way to monetize is by offering new paid-for civilizations to play with, which is also exactly what A Planet of Mine does: provide the entire gaming experience to, if you so choose, expand onto with twelve different races plus the four originally offered at the beginning. All that along with seemingly infinite gameplay makes this purchase more than justified when you end up hooked. Genre connoisseurs – whether from the annals of history with the Master of Orion or old dogs that continue on the crest of the wave destroying planets in Stellaris – will quickly recognize what needs to be tended to. Each planet is shown in a sectioned slice of landscape similar to a piece of pie where you create varied structures in each space. Efficiency depends on the area you place each element, so if you build a well in the middle of a desert area.. Son, you’re playing the fool and would be better off just sticking to Clash Royale. From this simple formula a whole system is elaborated, with a indecently large supply of resource types, and a myriad of ways of using them. Perhaps you’re interested in exploiting water resources on your planet to generate energy in a factory instead of resorting to other more contaminating energy sources. Or maybe you’d prefer to focus on hoarding huge amounts of seemingly trivial matter to trade it off among other tribes once you’ve made contact. Does this ring a bell? All signs point to yes. 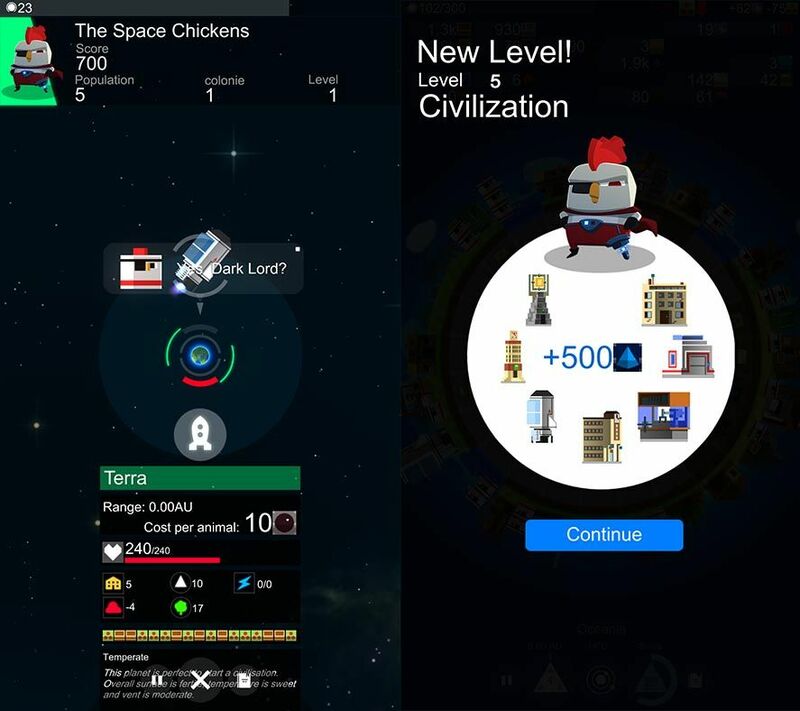 Constructing buildings to increase the maximum population of a planet, collecting civilization points and knowledge to level up from a certain time period, all activates a series of perks to specially train your people according to a grounded formula for expansion that is certainly not alien terrain to well-seasoned players. Once you’ve unlocked inventing fuel, send a crew to plot colonies on nearby planets, although surely AI ​​has done the same and you’ll come across a few roadblocks on your way to interplanetary dominance. At a certain point, there is simply no other way around it and you’ll be forced to deploy a few planetary bombs in order to make some space for yourself in the galaxy. Games and planet specs are set at random, but you can participate in several modes to forge your expansion indiscriminately. By default, in addition to the tutorial, “Discovery Mode” gives you 300 turns to earn the highest possible score. This unit of time is quite loose and translates into a single rotation of the planet (speed is calibrated to your liking). Games like this have you creating a few new colonies, facing off in run-ins with several alternate tribes and ultimately founding a moderately imposing civilization. However, accessing Classic Mode with unlimited time or one in which you’re forced to expand peacefully, you’ll need the packs mentioned earlier. To be exact, 2.29 €/$ gets you a pack of three races and every game mode, but for a bit more at just 5.49€/$ you’ll also receive all-access to content. 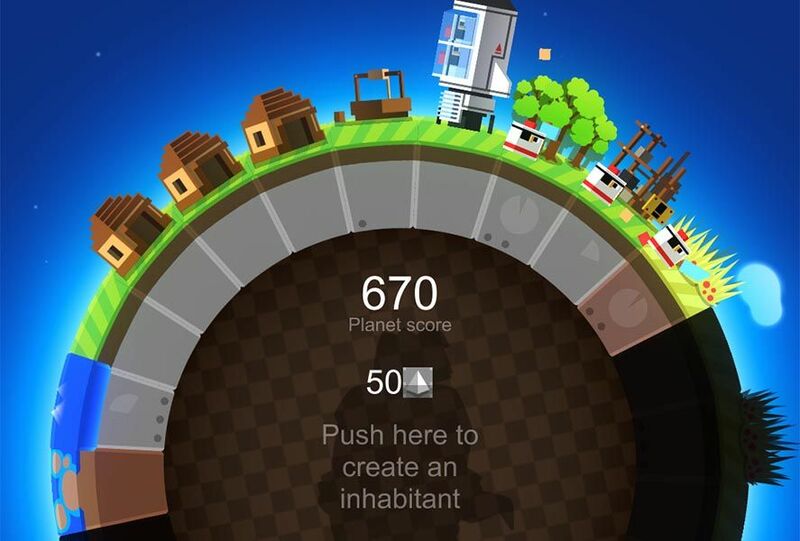 A Planet of Mine is a pleasant surprise the likes of which happen once in a blue moon, more so in a market as saturated and devoid of new ideas as Android. There are other alternatives but not one of them actually pulls off adapting quite this well to the mobile sphere. For better or for worse, thoughts of that good old “one more round and off to bed” have once again snuck into the sleep deprived mind of Your’s Truly.